The Emperor Karl League of Prayer U.S.A. and Canada is happy to share these photos from last year’s Blessed Karl Feast in Barcelona, Spain. 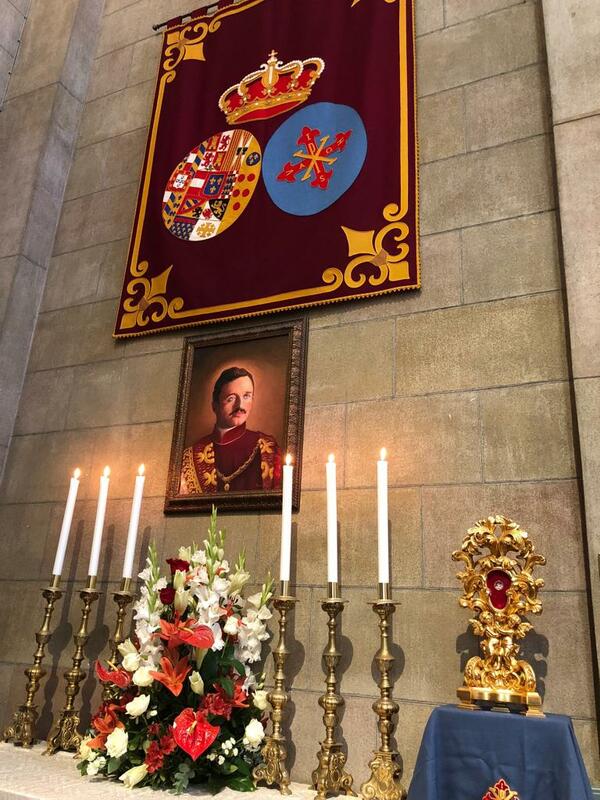 On Sunday, October 21, 2018, the Royal Delegation of Catalonia celebrated the feast of Blessed Emperor Karl of Austria. 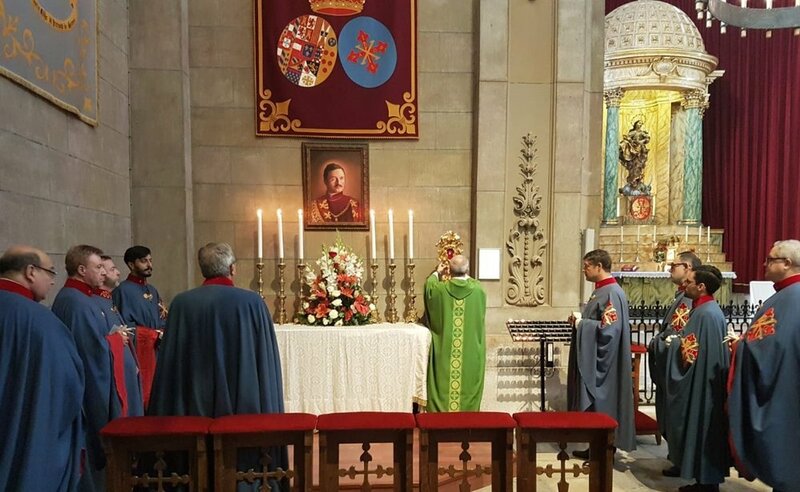 The service was held at Castrense’s Parish Church in Barcelona, Spain. Presiding at the Mass and relic veneration was Rev. Mr. D. Javier Orpinell, Prior of the Royal Delegation of Catalonia of the Constantinian Order, Major Chaplain of the II Ecclesiastical Circumscription, Parish Priest, and Rector of the Castrense Parish. The Knights of the Constantinian Order, headed by their Delegate in the Principality of Catalonia, the Hon. Mr. D. Francesc-Xavier Montesa, Vice-President of the Royal Commission for Spain and Councilor of the Royal Diputación, together with the rest of the Council of that Delegation were in attendance. Following the Mass was veneration of the relic of Blessed Karl in the side chapel dedicated in his honor. The chapel also houses the chapter seat of the Royal Catalan Delegation. In the Mass homily, D. Javier spoke first of the evangelizing efforts of Spain on the occasion of the Day of the Domund, and encouraged continued support of the work of the missionaries who are the vanguard of the Church. He also presented the figure of the Blessed Karl as one who knew well how to walk the path of holiness, always bearing witness to the love of his people and fidelity to the Church. Click for more information on the Constantinian Order’s work in Barcelona.